Okay, I admit it, there is, as of yet, no officially sanctioned Olympic Peninsula Wine Trail – but that doesn’t mean you can’t make up your own! The upper Olympic Peninsula has 9 great wineries / cideries all grouped within an hour or less of each other – from Port Townsend to Port Angeles – and most of which are open daily or by appointment all year ’round – so taking a tour is a no-brainer! Leave Eaglemount Winery outside Port Townsend and drive to Sequim. This adorable town, famous for it’s lavender fields, is home to the Olympic Peninsula’s newest winery, Wind Rose Cellars. Head West on Hwy 20 for about two miles. Hit Hwy 101 and take a right. About 16 miles down, take the East Washington St exit and take a right on N. Rhodefer Rd. Take another right on W. Sequim Bay Rd and then a final right on Bell Bottom Road. Wind Rose Cellars will be on the left at 233 Bell Bottom Rd. Half way between Sequim and Port Angeles is a huge, historic barn, which houses Olympic Cellars. Get back on Hwy. 101 N and drive about nine miles. Olympic Cellars will be on your left, so you need to exit the freeway at Agnew Cutoff and get back on in the opposite direction briefly. You can’t miss the big Olympic Cellars barn! 255410 U.S. 101, Port Angeles. 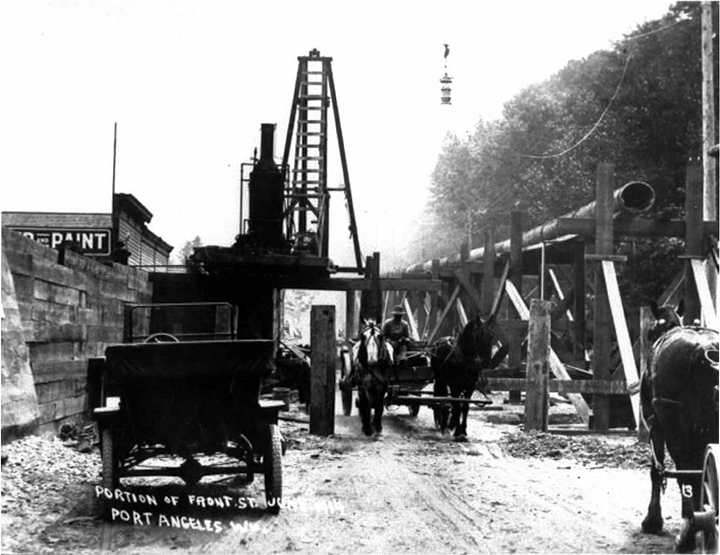 Keep heading West on Hwy 101 for about 6 miles until you arrive in the town of Port Angeles. Follow the signs to Forks and stay on 101 through town. Take a right on South Pine St. This road curves to the left and becomes West 16th. Then, take a full left onto South Pine St. and continue on to Black Diamond Road. About three miles up the road, you reach Black Diamond Winery on the right, at 2976 Black Diamond Rd. 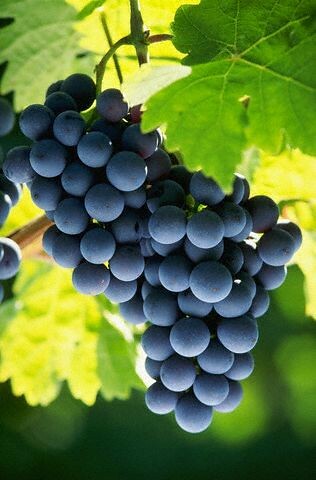 Enjoy the scenic vineyard and delicious fruit wines here. We have two more wineries to guide you toward. Come back later this month for the rest of the driving route! A winter getaway on the Olympic Peninsula should include a trip to Hurricane Ridge in the Olympic National Park. Stunning views begin on the drive to the peak, where pull-outs look east to Mt. Baker and the Cascades. Admire intimate views of the Olympic peaks of Mt. Dana, Mt. Carrie, and Mt. 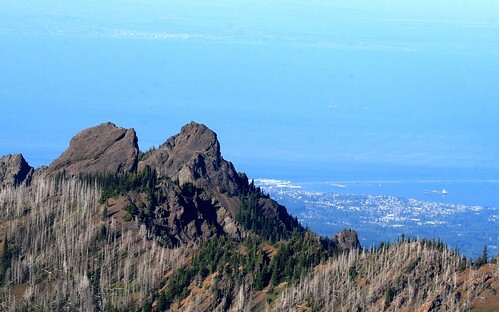 Olympus from the Hurricane Ridge Visitor Center, and follow the Cirque Rim Trail on a clear day to gaze at Port Angeles, the Strait of Juan de Fuca, the San Juan Islands, and Victoria, BC. In the winter, Hurricane Ridge Ski Area is a haven for skiers, snowboarders, sledders and snowshoers. The ski area at Hurricane Ridge is relatively small, but the powder is deep and it gives way to a limitless backcountry area. Novices will be comfortable on the groomed trails, but expert skiers and snowboarders will find it hard to keep away from nearby bowls, glades, and steeps. Relax after your day of fresh air and powder with a glass of Washington State Wine from an Olympic Peninsula Winery. 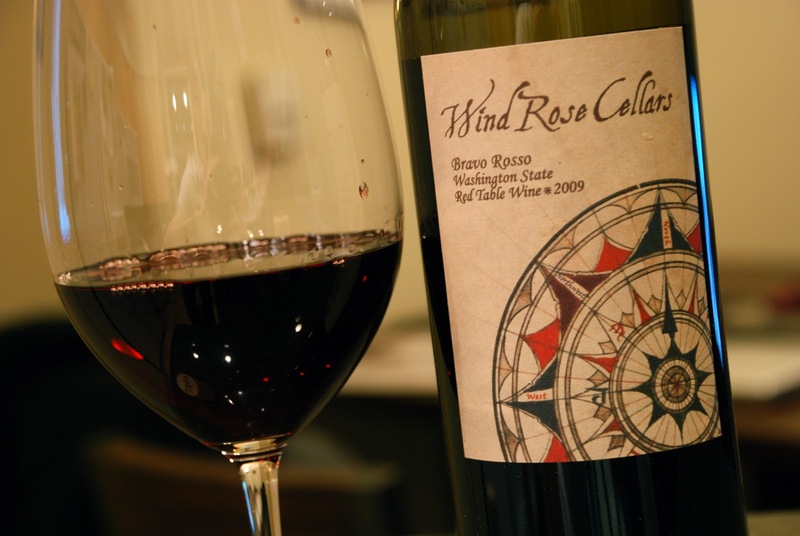 Several Port Angeles Washington Wineries at the base of Hurricane Ridge offer wine tastings on the weekend: Camaraderie Cellars, Harbinger Winery, Black Diamond Winery, and Olympic Cellars. Learn about these locally crafted wines at the bar as the winemaker pours you a glass, and take your time selecting a bottle or two to take home or back to your lodging. The best part of tackling a snowy mountain, after all, is how good you feel when you come down. The Harvest Wine Tour highlights seven Washington State Wineries on the Olympic Peninsula. 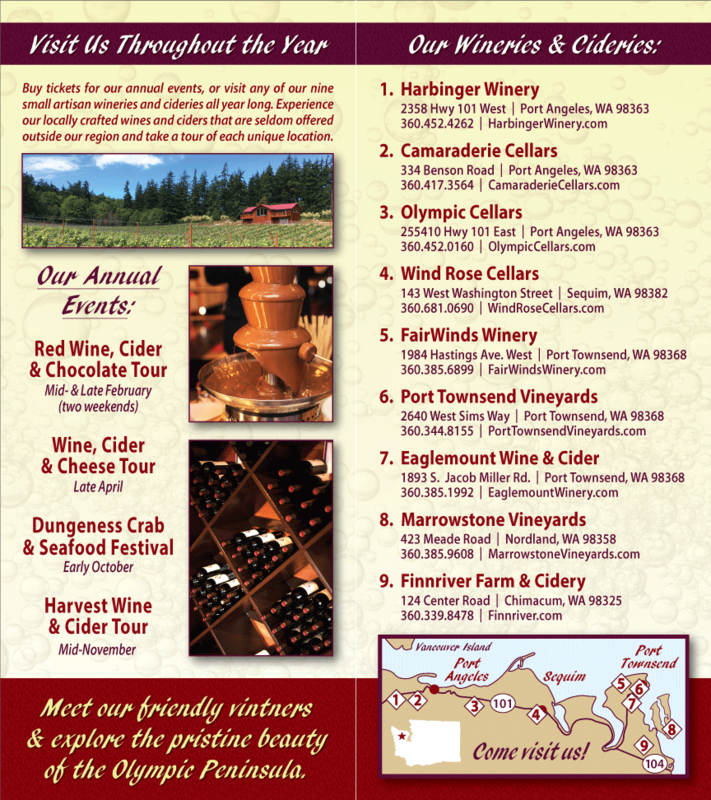 Our version of a fall harvest festival takes place November 13 and 14, from 11 a.m. to 5 p.m.
A self guided tour, the Harvest Wine Tour encourages people to visit all seven participating Washington State Wineries: Harbinger Winery, Camaraderie Cellars and Black Diamond Winery in Port Angeles, Olympic Cellars in Sequim, Sorenson Cellars and FairWinds Winery in Port Townsend, and FinnRiver Farm & Cidery in Chimacum. Tickets ($25) are available for purchase in advance, or at the door (on a first come basis). They include entrance and tastings at all seven wineries, a special commemorative wine glass, and samples of tasty local cuisine at each winery. Oenophiles who have their passports stamped at all seven participating wineries will be eligible for gift basket drawing. The Harvest Wine Tour is a great excuse to get out of the city and visit the beautiful Olympic Peninsula. It’s fun to visit small wineries, each of which has its own distinct personality. 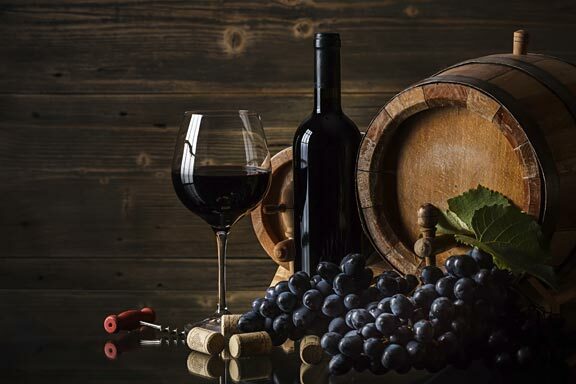 Meet the wine makers and learn about the wine first hand while tasting it.